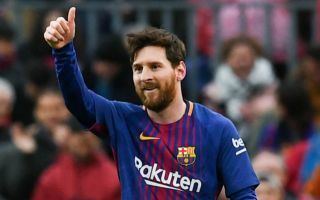 Lionel Messi reportedly wants Barcelona to push the boat out a little further and target an alternative to Frenkie de Jong next year. The Catalan giants were busy addressing the midfield this past summer, as after losing Andres Iniesta and Paulinho, they signed Arthur and Arturo Vidal. In turn, coach Ernesto Valverde appears to have the quality and depth necessary to continue to compete for major honours moving forward, but that hasn’t stopped speculation linking Barcelona with more midfield targets. As noted by Sport, Ajax youngster Frenkie de Jong has been touted as a primary objective, although it’s suggested that the Dutch giants could demand up to €75m for the talented starlet next summer which puts any potential move in jeopardy. That sentiment is echoed by Don Balon, who have gone one further and suggested that Messi would therefore prefer to see Barca focus their attention on Pogba and offer that bit more for the Frenchman rather than splashing out €80m on a talented youngster with plenty left to prove yet. In truth, that seems like a pretty sensible strategy from the Argentine icon, although where Don Balon have managed to attain such insight into his thinking on transfers is unclear. Nevertheless, it’s not the first time that Pogba has been linked with a move to the Nou Camp, as The Mirror claim that he has even been promised by his agent Mino Raiola that he would eventually secure a move to Spain amid ongoing doubts emerging over his time at Manchester United. It’s noted by Don Balon that De Jong will remain as a priority given he can offer a long-term option with his entire career still ahead of him while his technical quality and all-round ability arguably make him a perfect fit for Barcelona. However, if there is an opportunity to prise a player of Pogba’s calibre away from United next summer, perhaps it isn’t one that the La Liga champions can ignore and so time will tell if Messi’s reported advice is acknowledged by the hierarchy.